Bluestem: And ain't she a beaut! Look what we bought! Wanna guess what it is? OoooOOOoooOOoo. Pretty. 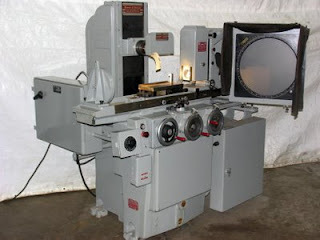 Some sort of lathe, no? You aren't machine-tooling nuclear detonation encasements again are you? I believe the parole board was quite specific about that.